Note: Delivery includes fuse set. 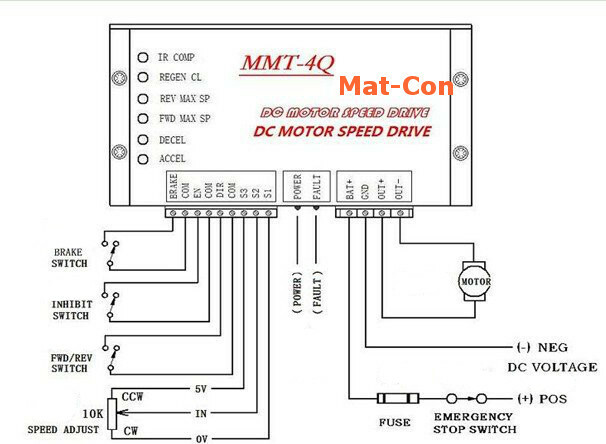 This 4 Quadrant reversible controller with regenerative motor braking function (=eddy current brake / hysteresis brake) is suitable e. g. for electric scooter, (SMFC) scooter, e-scooter, fun-scooter, trottinette, pocket bike, pocketbike, tricycle, quad bike, electric quad bike, kids quad bike, longboard, electric board, e-board, electric bike, e-bike, recumbent bike, soap-box, rickshaw, trishaw, Velotaxi, tensile device, tensile device for wheelchairs, electric wheelchair, railway, garden railway, small railway, big railway, steam railway, park railway, model railway, narrow gauge railway, cart, electric car, e-car, golf cart, hand bike, pedal boat, electric pedal boat, plane, helicopter, model making, miniature making, theater engineering, stage engineering, industry, machines... . This regenerative recuperation regulator manages the infinitely speed of electric DC motor, switches the motor's turning direction forward and reward and uses electric braking, what brings energy back to the batteries / accus. Motor, lead acid battery, charger, potentiometer, pedal, switch, key switch … .